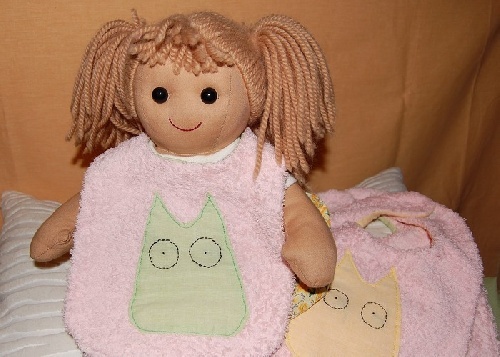 Bibs with velcro strips as presents for two beautiful newborn baby girls, but Capucine (the doll^^) wanted to keep them all for herself. - Tell me, aren't they a little big for you? - Will you make one for me then? - All right if you insist. 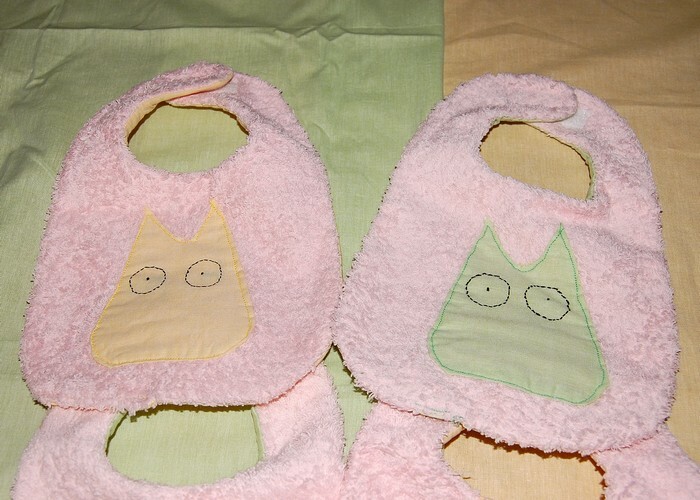 As I was saying, to make these bibs, it is quite simple (well almost). You'll need a piece of fabric/cloth, toweling, velcro strips, a template ( there are many different ones on the net), and a good idea for the general look. Wash the fabrics, iron them, cut them and sew them together.